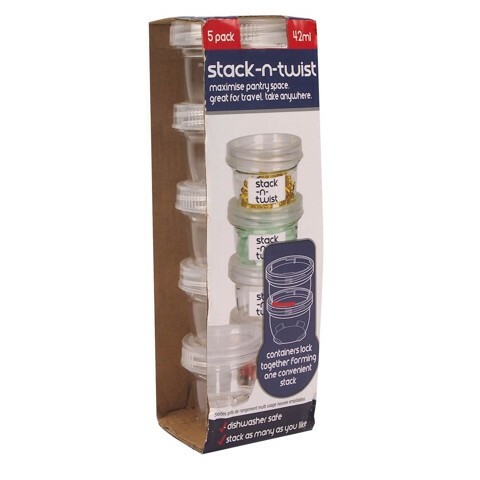 Storers Stack N Lock 42Ml 5Pk. 4.2 x 5.5cm Dia l Each Storer 42mL Capacity. Clear. Plastic. 92G Packaging: Colour Sleeve.